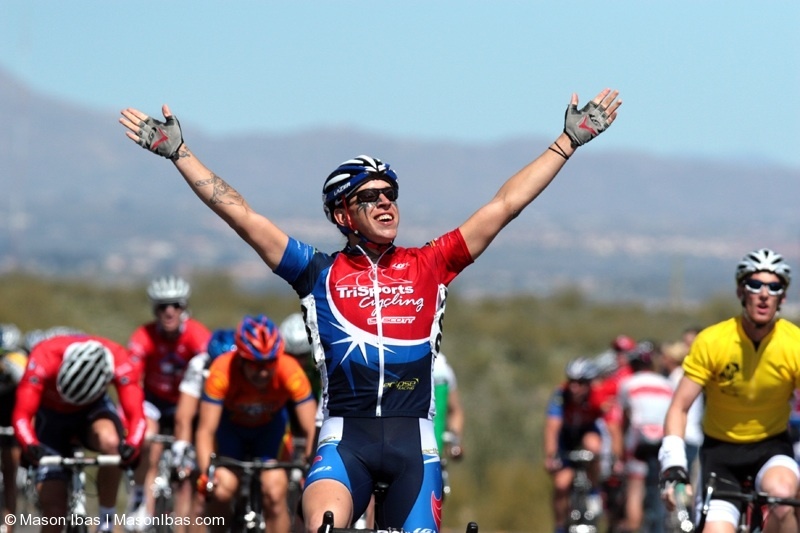 Tucson Bike Classic : Team Aggress! Report by Kurt Garbe: A full Aggress team turned out for the TBC. Rick had a brilliant weekend and take 2nd overall in the 65+ category. Jim was solo too in Cat 5b race; he took 5th overall with a very solid showing. I had a very lucky ride and finished 11 seconds out of first in 7th place in the Cat 3 TT. The team worked brilliantly for me and I fought for a very dangerous 8th in the RR and 3rd in the circuit. I finished tied for 5th in time overall, but got 6th as the 5th place finisher had a better time in the TT. Neil had a very solid ride finished right behind me in 7th in GC, with Brent slotting in at 12th, 24 seconds back. Leo was 1:13 down in GC and worked hard to help advance me. Jeremy and Bryan both worked hard for the team; Y is off the health mark, but did what he could to advance the team. Thanks to Elliot for the effort, but he would tear off another deraileur and not start the road race. Vic took an impressive win in the Cat 2 road race and made it intoVelonews! He was one second out of 1st!